Hindsight is always 20/20, but when the Vinery Stud stallion More Than Ready (TrueNicks,SRO) shuttled to Australia, he looked to be a ‘lock’ to suit mares by then-leading sire Danehill. Invariably within breeding populations, the next great sire establishes himself with the daughters of a previously great sire. Just as Danehill had the benefit of mares by past leading sires Sir Tristram and Bletchingly, plenty of suitors took up the chance to capitalize on the plethora of Danehill line mares available in Australia, but it was More Than Ready, a grandson of Halo, who seems to have made the most of it. More Than Ready got off to a fast start in Australia with his first crop and indeed a fast start with Danehill mares, getting the Victoria Derby winner Benicio (AUS) (TrueNicks) and Goodwood Stakes winner Perfectly Ready (both out of Danehill mares) as two of 12 stakes winners from his first Australian crop. The following year he had his first stakes winner out of a mare by a son of Danehill in Hot n’ Ready, out of a Flying Spur (AUS) (TrueNicks,SRO) mare. Not surprisingly, when Benicio, Perfectly Ready, and Hot n’ Ready won their stakes races in the spring of 2005, the number of Danehill line mares bred to More Than Ready rose dramatically. However, it was a colt bred the year before on the heels of More Than Ready’s first crop success that pushed the More Than Ready/Danehill nick into the stratosphere. Golden Slipper (gr. 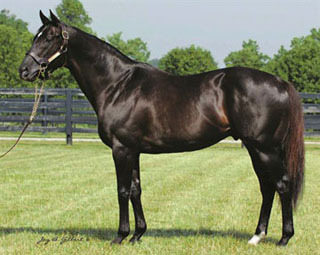 I) winner Sebring (AUS) (TrueNicks) became the second stakes winner for More Than Ready out of a Flying Spur mare, and his dominance during the spring of 2007 opened the floodgates of literally hundreds of mares by Danehill and his sons visiting More Than Ready in that year and beyond. The nick has continued to be a solid one and indeed has supplied five stakes winners in More Than Ready's last two crops of racing age in Australia. But there are clues to the enhancement of the broad More Than Ready/Danehill nick that are worth examining. To date there have been 125 foals of racing age by More Than Ready out of mares by Danehill, getting 78 starters, 52 winners, and six stakes winners. However, More Than Ready’s first major stakes winner Benicio his not only out of a mare by Danehill, but he carries Sir Ivor’s son Sir Tristram as the sire of his second dam. When we look at the six stakes winners by More Than Ready out of Danehill mares, we note that Sir Tristram appears in five of the six – Benicio, Dreamaway, Elite Falls, Readyor, and Mahisara. When we look at More Than Ready when bred to mares by sons of Danehill, we note that there are 113 foals of racing age, 65 runners, 34 winners, and six stakes winners. 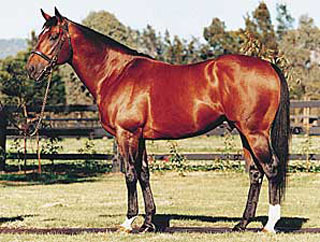 However, Flying Spur accounts as the broodmare sire of all six stakes winners. As there are only 54 foals out of Flying Spur mares, this means that there are 59 foals out of mares by other sons of Danehill and none of these are stakes winners. So what separates out Flying Spur from all other sons of Danehill whose daughters have been bred to More Than Ready? The clue may be that Flying Spur's second dam by Sir Ivor, thus creating a very similar refinement of the mating that we see in Benicio – More Than Ready with mares that carry both Danehill and Sir Ivor. Within the context of all foals of racing age by More Than Ready, if we just examine the progeny where Danehill and Sir Ivor appear anywhere in their dams, it is a select list – 100 foals of racing age, 66 starters, 43 winners, and 10 stakes winners. Flying Spur may have something a little more significant going on, since we note that mares by similarly-bred Redoute's Choice (AUS) (TrueNicks,SRO), Shovhog, and Nothin’ Leica Dane have yet to strike a blow with More Than Ready. Finally, it is worth noting that there are only seven foals by More Than Ready out of Flying Spur mares with a further strain of Sir Ivor, and two of these seven foals are stakes winners in More Than Ready’s current 2-year-old crop, namely Cambiaso and Ashokan, with the latter annexing the Skyline Stakes over the weekend and heading towards the Golden Slipper in three weeks time.